Game uses its own online account system and doesn't include VOIP, text chat or any other way to communicate with online players. Frame rates over 60 FPS cause the game's audio to be distorted and broken (limit the frame rate to 60 FPS). Online features require registering an account in-game. Delete or rename atvi.bik and BizarreSplash.bik. 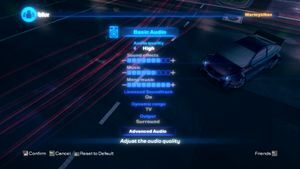 Causes audio to be distorted and broken; cap the frame rate at 60 FPS. 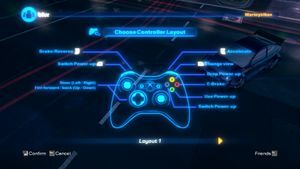 Add Blur to Steam as a non-Steam game and use the 'Gamepad' preset in the controller configuration. Vibration can be disabled via Steam Big Picture. Press Ctrl+⇧ Shift+O to disable Special K's On-Screen Display. Expand "Window Management", then "Input/Output Behavior". Enable "Mute Game" and close the Control Panel. Servers seems to be still online as of August 23, 2018. Use Helix Mod: Blur for better 3D support. While the game is running, alt-tab, and open Task Manager. Make sure you click the 'More details' arrow to show the full Task Manager. Right click the 'Blur.exe' process again, and recheck the box for '<All Processors>', and click OK.
Open the Task Manager, and go to the Details tab. Right-click 'Blur.exe' and select 'Set Affinity'. Disable CPU 0 and leave the other CPUs checked. Then hit OK.
Frame rates over 60 FPS cause the game's audio to be distorted and broken. This issue only occurs with the Medium, and High audio setting. Right click on either on 'Blur.exe', or the shortcut to the exe, and select 'Properties'. Under the Compatibility mode section, check the box 'Run this program...', and select Windows 7. This is an issue which involves an inability to connect to online games, caused by Blur's overly strict reliance on port forwarding. The only reliable way to play online is to use Virtual LAN software such as Hamachi or Tunngle, the latter of which still has an active Blur community. Download and install the Tunngle client. Log in and search for Blur in the search box to the left of the client. Enter the Blur room to connect to the VLAN system. Launch Blur and navigate to the Local Area Network multiplayer game mode, where Tunngle games will then become visible. Retail copies of the game may get stuck during the install process, specifically before the installer starts copying files from the disc. This mostly is to occur on PCs running Windows 8/8.1/10. 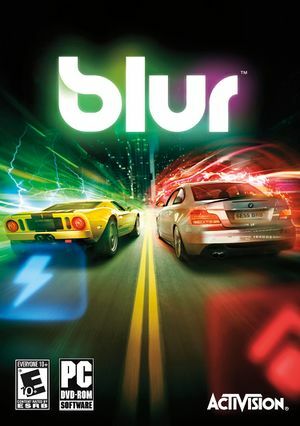 Make a folder called 'BLUR_DVD' anywhere you choose in the computer. Open File Explorer, and view the files for BLUR_DVD. Select all of the files, copy, and paste them into the 'BLUR_DVD' folder. Once all the files have been copied over, select the 'Setup' folder, then the 'rsrc' folder. 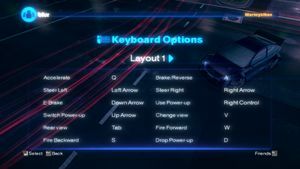 Expand "Input Management", then "Mouse Cursor". Enable "Hide When Not Moved" and set "Seconds Before Hiding" to "0". Close the Control Panel and press Ctrl+⇧ Shift+O to disable Special K's On-Screen Display. ↑ 1.0 1.1 File/folder structure within this directory reflects the path(s) listed for Windows and/or Steam game data (use Wine regedit to access Windows registry paths). Games with Steam Cloud support may store data in ~/.steam/steam/userdata/<user-id>/42640/ in addition to or instead of this directory. The app ID (42640) may differ in some cases. Treat backslashes as forward slashes. See the glossary page for details. This page was last edited on 1 April 2019, at 05:09.